The landscape crew for the District’s Wilshire streetscape continues to maintain all 15 medians and about 160 flower pots along Wilshire Blvd. The work consists of removal of trash, trimming of plants, watering of plants, repairing the sprinkler system, and replacing damaged plants. The installation of the drip irrigation system and new plants, as well as planting and maintaining of new street trees, is now complete. Last quarter, the sidewalk maintenance team collected 2,598 bags of trash (59,754 lbs. ), dispensed approximately 4,000 doggie bags, and removed 42 graffiti tags on sidewalk pots, poles, and news racks. The crew is out every Monday and Thursday sweeping the sidewalks, picking up trash, clearing gutters and painting out graffiti from street poles, news racks, and flower planters. The team empties approximately 60 trashcans throughout the District. 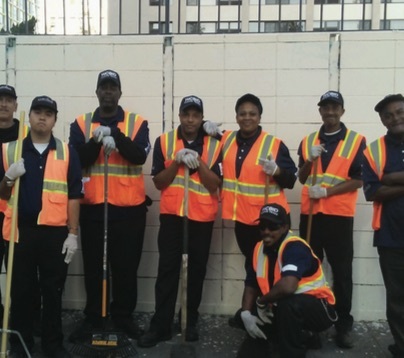 Last quarter, the security team assisted the City in getting over 301 bulky items picked up, made 144 calls/reports to the City for street services (311), assisted in getting 100 graffiti tags cleaned up, and 3 potholes reported and fixed. The team responded to 474 calls for assists to property owners, managers, stakeholders, pedestrians, LAPD and others. 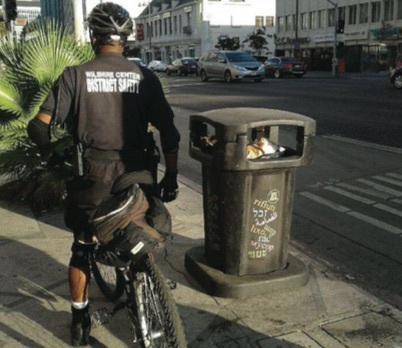 They issued 14 illegal vendor warnings and assisted 111 homeless individuals; 952 illegal signs were removed. The team addressed the subject of 122 belligerent transients and 23 drinking in public. The team captain attended 8 LAPD crime control meetings and attended the quarterly WC/K Business Watch meeting. 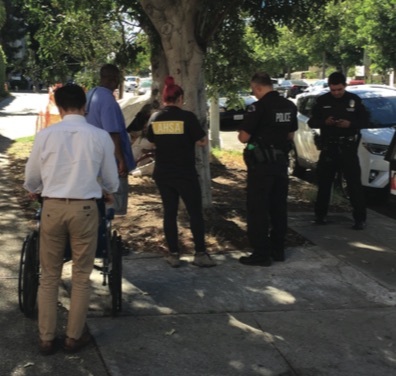 The WCBIC continues its efforts to work with the LAPD Olympic Station, HOPE Team, LAHSA, DMH, CD10, CES, PATH, and others to continue addressing homelessness in the District. We have a new Neighborhood Prosecutor at the LAPD Olympic Station, Andrew Said. The @WilshireCenterBID Instagram page now has over 650 followers in just the first couple of months; we are getting around 3,500 of impressions per week and generating a large volume of engagement. We will continue to track analytics closely. The Young Oak Kim Academy (YOKA) Community School Park (CSP) is open every Saturday from 10AM-2PM. 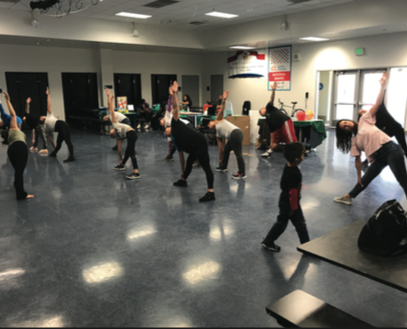 The YOKA CSP is located at 6th and Vermont and is managed by Beyond the Bell with one administrative person and one custodian. Parents and school staff tell us that since the YOKA CSP has opened, they feel safer and more connected. They link drops in vandalism and other unwelcome behavior to the increased presence of parents at school and the sense of ownership that community members have taken over their CSP. On December 10th, CicLAvia will temporarily remove cars from Wilshire Center and Downtown LA along Wilshire Blvd. and open them up to pedestrians, strollers, bikes and more from 9am–3pm for a car-free day. For more info visit ciclavia.org. People requesting city services (pothole repair, pickup of bulky items, graffiti removal, etc.) can call 311 or access the free smart phone application, MyLA311. The Wilshire Center District of Ktown just got a new community to help drive the booming renaissance and raise the bar for Los Angeles rental living. NEXT on Sixth, located at 620 S. Virgil, celebrated its grand opening October 23rd and 24th. 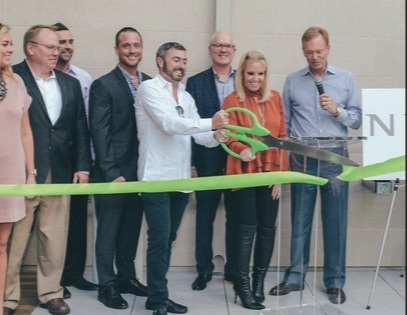 The new community was developed by Century West Partners, a Los Angeles-based developer of sophisticated, luxury communities. “NEXT on Sixth is a true community collaboration, delivering luxury rental living to a thriving and sought-after neighborhood of Los Angeles while providing a coveted lifestyle package to many,” said Steve Fifield, co-founder and principal of Century West Partners. The seven-story structure includes 398 leading edge designed units offered in a collection of studio, one-bedroom, and two-bedroom floorplans. The ground level features two stylish lobbies and one of the few Target urban-concept stores to be introduced in Los Angeles. NEXT on Sixth also features large-scale custom art commissions including two striking 50’ high contemporary billboard-size paintings adorning the community’s exterior, visible to the surrounding community via the street. Amenities included are robust and enviable and include an indoor simulated golf range; pet-friendly dog grooming station and bark park; electric car charging stations; bicycle storage and bike kitchen with repair rack, supplies, tools and air pump; and a high-end two-story fitness center, among numerous others. 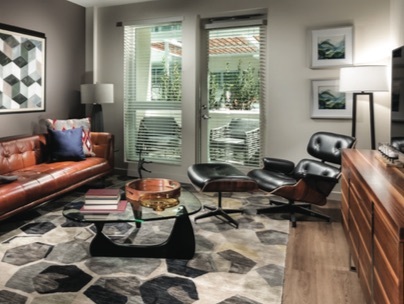 Residents will also have access to the world-class dining, eclectic shopping, and energetic nightlife options in burgeoning Wilshire Center, in addition to convenient access to public transit and major freeway arterials. Video highlighting much of the work that the Wilshire Center Business Improvement District does on a daily basis was presented at the last Annual Membership Meeting. Click here to view older News.